The human immunodeficiency virus, known more commonly as HIV, is still at large today. With no known cure, the most researchers have been able to do is mitigate the effects of the virus. However, there are certain people who, despite being exposed to HIV, simply do not get infected. A team of biologists at the University of Minnesota, Twin Cities set out to find whether genetic differences play a role in this “immunity” to HIV. It is well known that HIV hijacks the immune system by attacking cells known as T lymphocytes. In a nutshell, HIV forces their T lymphocyte hosts to create more HIV cells and then kills them to reduce the overall potency of the immune system. T lymphocytes do fight back with a protein known as APOBEC3, but HIV produces a “counter-protein” called Vif that tricks the lymphocytes into destroying their APOBE3. The prevailing belief is that Vif renders the T lymphocytes helpless against HIV, but University of Minnesota professor Reuben Harris (left) hypothesized that there was more to the story. 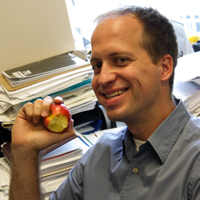 Harris and his doctoral student Eric Refsland (right) developed this hypothesis because, as stated above, some people can entirely resist infection from HIV. They studied the proteins APOBEC3 and Vif in more detail and found that T lymphocytes produce much more APOBEC3 when under attack from HIV, suggesting the protein is one of the key defense mechanisms against the virus. Also, they found that each person has their own variety of APOBEC3 with varying potency. The strongest strains of APOBEC3 are actually able to fight off HIV, and strains with average strength are locked in battle with HIV in a somewhat evenly matched contest. 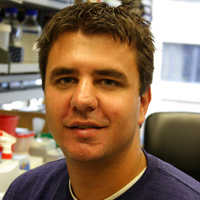 This study was funded by grants from the NIH and NSF. The University of Minnesota boasts a $830 million research and development marketplace fueled by studies like this one. For more information about grants and funding for UMN, read our free University of Minnesota Funding Statistics Report accessible via the link below. Minnesota is the place to be this May, since Biotechnology Calendar, Inc. is hosting two of its BioResearch Product Faire™ events there. First, we have the BioResearch Product Faire™ Event in Rochester, Minnesota on May 20th, 2015, followed by the BioResearch Product Faire™ Event at The University of Minnesota, Twin Cities on May 22nd, 2015. The latter event will be held directly on the thriving University of Minnesota, Twin Cities Campus. 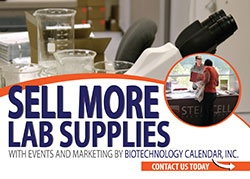 Biotechnology Calendar is a full service event marketing and planning company producing on-campus, life science research trade shows nationwide for the past 20 years. We plan and promote each event to bring the best products and services to the finest research campuses across the country. To attend one of these shows, please click the buttons below. Otherwise, feel free to peruse our 2015 show schedule.